Janek Wasserman is Assistant Professor of History at the University of Alabama. 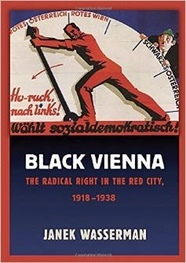 His book, "Black Vienna: The Radical Right in the Red City," 1918-1938, recently appeared with Cornell University Press. Austrian Economics, as it is commonly understood today, was born seventy years ago this month. Associated with laissez-faire economics and libertarianism, the movement has primarily built its intellectual and ideological foundation on the works of two men, Friedrich Hayek and Ludwig von Mises. With academic programs at George Mason and New York Universities, institutional support from the Ludwig von Mises Institute and the Koch Brothers-supported Cato Institute and Institute for Humane Studies, the movement possesses a formidable institutional apparatus. Ronald Reagan, Ron and Rand Paul, Paul Ryan, and other Tea Party supporters name check Austrian Economists for their own programs. However, the contemporary characterization of “Austrian Economics” does a disservice to the eclectic intellectual history of Austrian economics, confusing a dogmatic political program with a robust intellectual heritage. The Austrian school, born in the late nineteenth century in Vienna and reaching a peak of activity in the interwar period, was so much more than “Austrian Economics.” To understand the transformation, we must return to the birth of a movement—and the reduction of a tradition. On April 3, 1945, Friedrich Hayek arrived in the United States for a lecture tour. 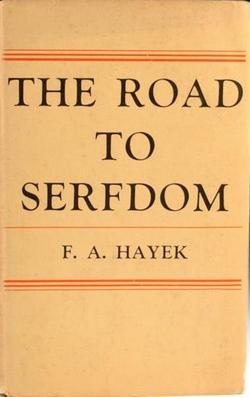 En route, a condensed version of his book, The Road to Serfdom, appeared and made him a household name. Featured on the front page of Reader’s Digest, which boasted a circulation of almost nine million readers, the treatise was hailed as “one of the most important books of our generation.” Individuals and organizations bought one million offprints, and 1.5 million copies went to American military personnel. As part of the media blitz, Look magazine produced a cartoon version of Road, and Hayek offered a synopsis on NBC’s popular radio program, “Words at War.” Hayek lectured to packed auditoriums across the country. Similar to Thomas Piketty today, Hayek became an overnight intellectual rock star. Moreover, the connections to businessmen and free trade foundations Hayek made sustained his career: they financed his influential Mont Pèlerin Society; paid his full salary at the University of Chicago for a decade; underwrote later works The Constitution of Liberty and Law, Legislation, and Liberty; offered institutional support at the think tanks such as the Institute of Economic Affairs. Consequently, by the end of his life, Hayek became synonymous with a number of intellectual trends: libertarianism, neoliberalism, and Austrian Economics. Hayek’s moderate form of liberalism grounded in the rule of law vanished in this treatment. His fellow Austrians confronted this radical message ambivalently. Fritz Machlup, an economist of international trade and the knowledge industry, championed the book to American publishers, yet he expressed no enthusiasm for its popularization. Joseph Schumpeter, economist of “creative destruction” and of entrepreneurship, applauded the book for its honesty and courage, but he questioned its present-day practicality. Oskar Morgenstern was appalled by book’s message, its narrow-minded boosters, and the Hayek juggernaut. One of the founders of game theory, Morgenstern responded allergically to the ideological message propounded during Hayek’s tour. Writing in his diary, he said, Hayek “was in the hands of an evil community… I simply cannot go along anymore. Neither his [ideas] nor his opponents’—none of them is science.” For Morgenstern, Road was not economics; it was polemics. All the worse for those working in the Austrian tradition. Despite tensions, however, the Austrians remained a tight-knit intellectual community. Hayek, Mises, Machlup, and Gottfried Haberler were founding members of the Mont Pèlerin Society. Morgenstern frequently visited Mises in New York City and organized a reunion of the interwar “Mises Seminar” for Mises’ birthday. Morgenstern and Machlup taught together at Princeton and NYU. Ironically, the sobriquet Austrian Economics divided them. When Austrian Economics was “revived” in the mid-1970s, only Hayek received an invitation to the conferences (Mises had died in 1973). American Austrians tried to appropriate the older intellectual tradition by mentioning economists besides Hayek and Mises. Native-born Austrians—Haberler, Machlup, Herbert Furth—had their doubts. In letters and interviews, Haberler, a staunch Republican, abhorred the association with supply-side economics, anarcho-capitalism, and Reaganomics. Furth, Hayek’s lifelong friend and an adviser to the Federal Reserve, felt that Austrian Economics had to be rescued from its American acolytes. There was nothing inherently libertarian or even liberal in Austrian economic theory, Furth reasoned. It was a school of economics not politics. Machlup argued that he had to bow to contemporary usage. Since the mid-1940s, a new libertarian stream had come to dominate American discussions of Austrian thought. He could not change that reality; he could only maintain a distance from the most egregious ideologues. Karl Marx famously said about orthodox Marxism, “If that is Marxism, I am not a Marxist.” Similarly, native-born Austrians ceased to be “Austrian” when Mises and a simplified Hayek captured the imagination of a small group of businessmen and radicals in the US. Consequently, our understanding of a broader Austrian Economics, which made seminal contributions to several social scientific disciplines, has suffered—as has our comprehension of a more complex and less radical Hayek.